Chicago is the third largest city in the US after New York and Los Angeles. 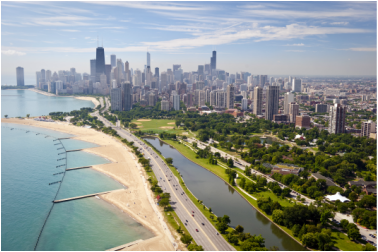 The entire Chicagoland area, including suburbs, has a population of over 9.5 million inhabitants. Chicago is located on the shores of Lake Michigan. You will find numerous beaches as well as large parks like Grant Park, pictured on the left, where you will be able to take a walk. A 26-mile bike path offers runners and cyclists the opportunity run or ride along Lake Michigan. 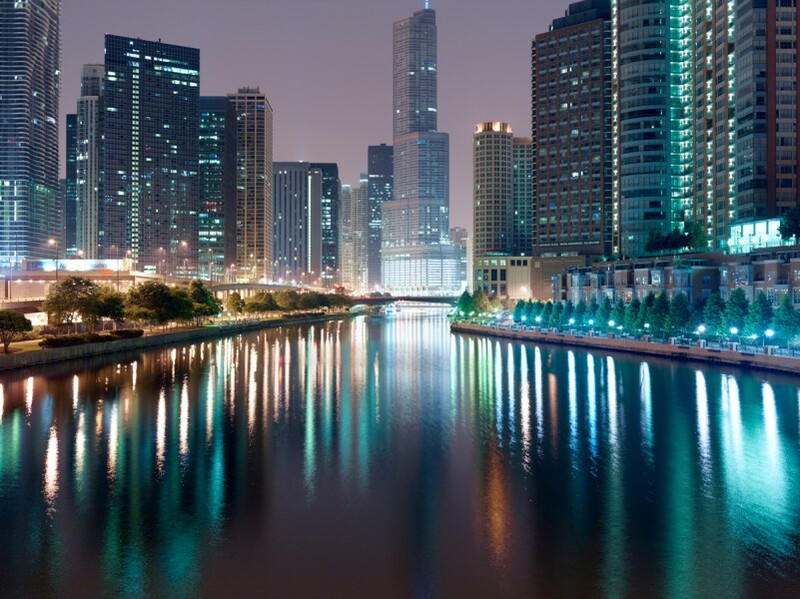 Chicago has become a globalized city and is often referred to as the "Second Silicon Valley" in America because of the number of start-up businesses that have flourished here over the past few years. The city of Chicago is located in the "Heart of America" and is a major economic driver for the Midwest and for the country. Since the nineteenth century, the city has changed dramatically. The Great Chicago Fire of 1871 allowed planners to reconstruct the city. The city became a feeding ground for innovative architecture and some of the world's most notable architects showcased their work here in the Windy City. Many significant buildings were built during this time including the world's first skyscrapers. 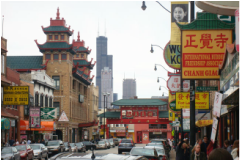 Birthplace of the "Can-do attitude", Chicago has now 77 communities and neighborhoods such as Chinatown, Pilsen, Ukrainian Village, Little Italy, as well as a diverse and mixed neighborhoods where citizens coexist maintaining the "Melting Pot" the US is well-known for. 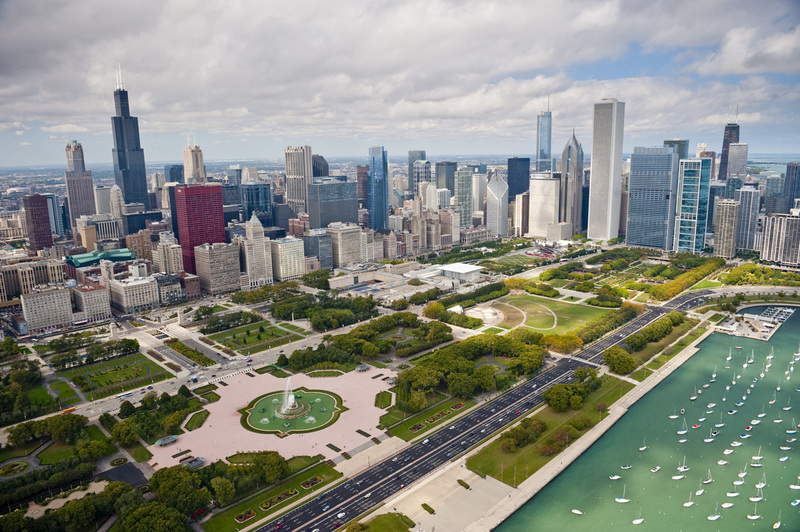 Since its selection as the "City of the Year" by GQ magazine in 2008, Chicago has built an international reputation. With beautiful architecture, famous museums, prestigious universities, and a vibrant downtown life, Chicago has been featured in many movies but most importantly offers its inhabitants a booming economy and amazing quality of life.